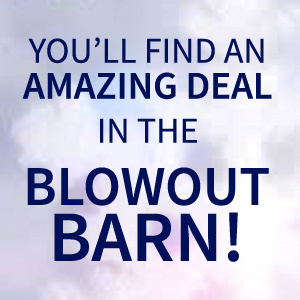 The Blowout Barn is a category that allows you to choose from our entire selection of blowout skis. These items are always first quality ski merchandise and will carry the same warranty as full priced items. If you see something you like you better get it fast or your size might disappear. Things you might find in this category are: Race Skis, All Mountain Skis, Freeride Powder Skis, Twin Tip, Mogul Skis, Backcountry Skis, Expert Skis. With a Giant selection from K2 Skis, Line Skis, Volkl Skis, Salomon Skis, Rossignol Skis, Ninthward Skis, Liberty Skis, Atomic Skis, Armada Skis, Head Skis, and others (Choose One Below) you can get the skis you need to make the most of every turn.